This peach dump cake recipe makes a delicious dessert with little effort! 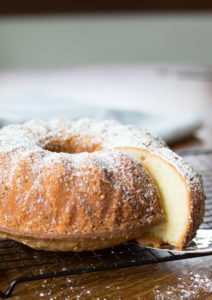 Packed with peachy flavor and a crispy crust – this easy dessert recipe will have everyone wanting more! Dump cakes are just one of those things that everyone needs to make once in a awhile. You have a busy evening and need a dessert – dump cake! 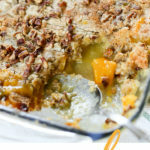 This peach dump cake combines the flavor of peach with a buttery topping that gives it a richness that goes really well with a big scoop of vanilla ice cream. 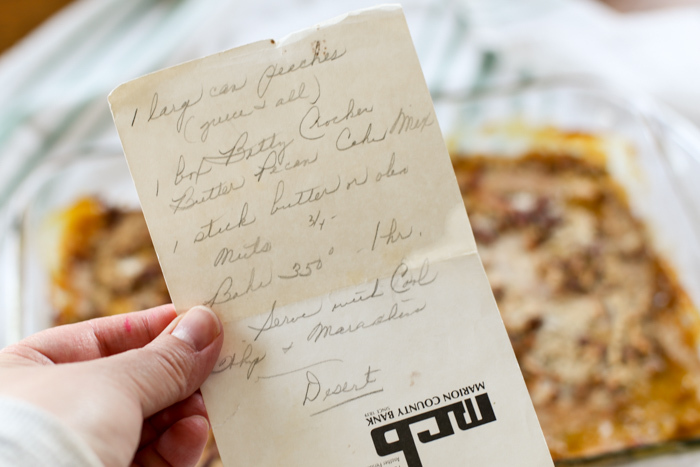 When I stumbled onto this recipe, (written on bank stationary in my grandma’s handwriting) my first thought was “do they even make butter pecan cake mix?” I remember the flavor of butter pecan ice cream which my grandma always seemed to have in the freezer. But lo and behold, they do sell it as a cake mix flavor and there was plenty of it to purchase at my local grocery store. 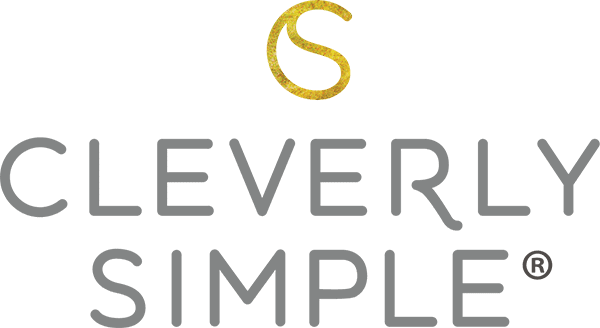 What is a dump recipe? A dump recipe allows you to “dump” all the ingredients into one pan and then bake! There’s no stirring required. 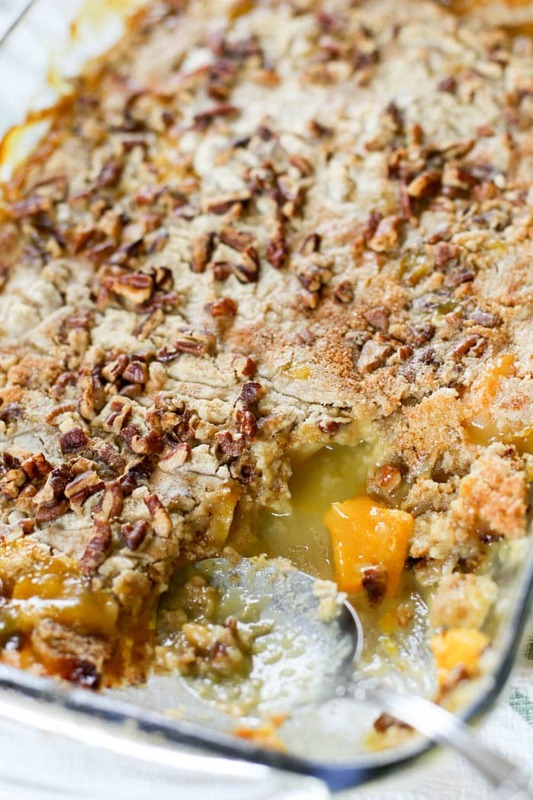 With this peach dump cake you literally layer the ingredients and bake right away. This is a great recipe to make with kids! 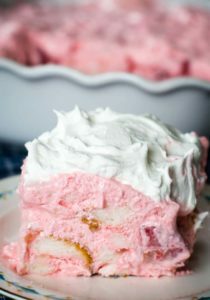 How to you make a peach dump cake? 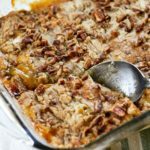 For this peach dump cake recipe you will layer 30 ounces of canned peaches (juice and all), a box of butter pecan cake mix, a stick of butter, and 3/4 cup of pecans. 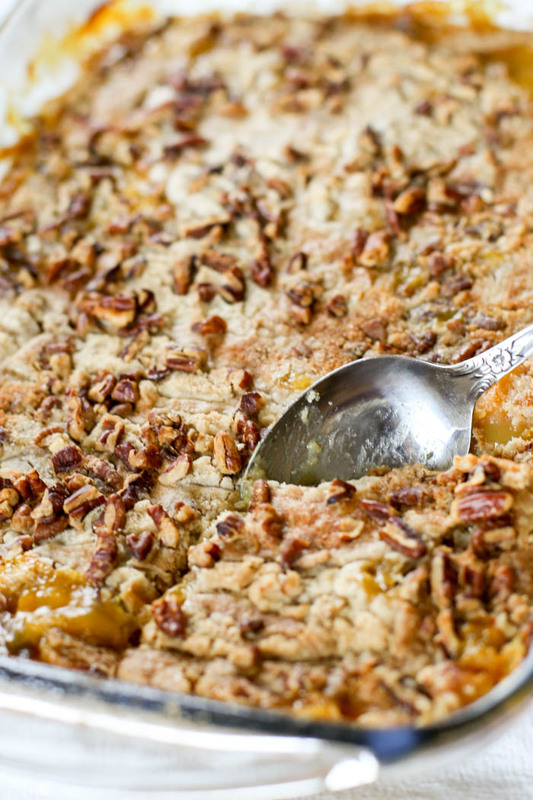 How long to you cook the peach cobbler dump cake? 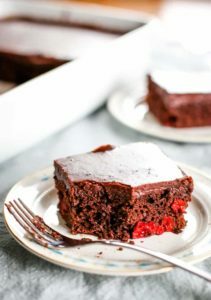 You will bake this dump cake in a 9×13 pan for one hour at 350° F.
My grandma said to serve it cool with a whipped topping and maraschino cherries?? I instead enjoyed this peach dump cake with a big scoop of vanilla ice cream while it was still warm from the oven. Enjoy! 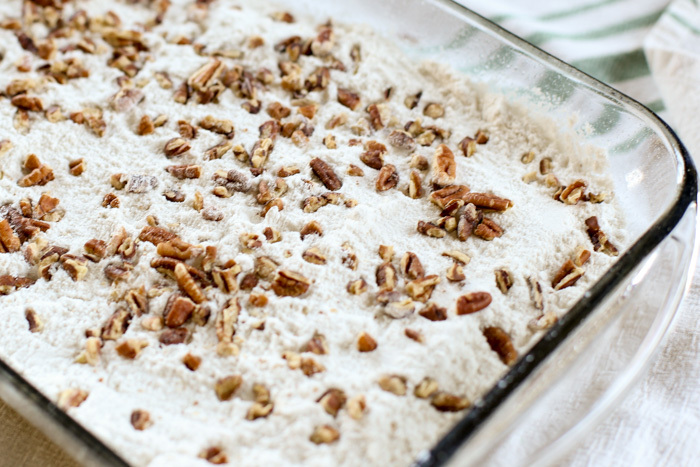 An easy dump cake recipe using canned peaches and butter pecan cake mix. 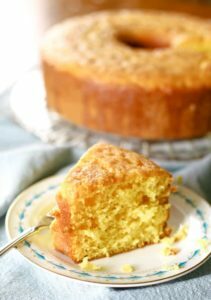 This peach dump cake recipe is so easy to make! Spray a 9×13 inch baking pan and preheat your oven to 350° F.
Pour the canned peaches (juice and all) into the baking pan. Sprinkle the cake mix over the peaches. Pour the butter over the cake mix evenly. Bake for one hour at 350° F.
This is best served warm with a big scoop of vanilla ice cream! However, it also holds well if you’re serving it later in the day.